Following the Walkers: For a table. 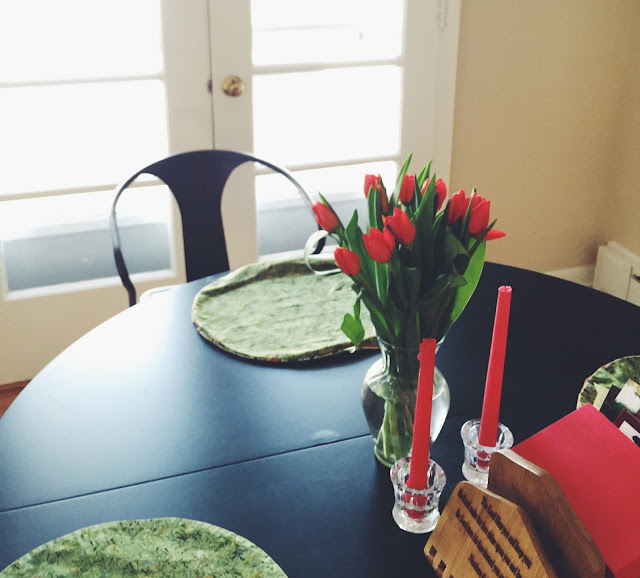 On this sixth day of February, I took myself out for an hour, picking up a few little things along the way: a red lipstick, Valentine's Day cards for the boys in my life and blooms for the table. When I am 92, these are the things that will still make me smile.